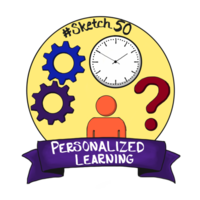 Using the DoInk app, Google Photos Assistant, or another gif-generating tool, combine your Personalized Learning Sketches into an animation and upload it here. This might be rather fast. Still learning. There was a problem processing this image, the file may be of an invalid format. Link to a Google Photos animation of my sketches.